468 Rosedale Ave, White Plains, NY. Practice will be led by Terry Truta. Reading this week: Bernie Glassman, Infinite Circle, Chapter 5, "No Suffering," pp. 47-57. 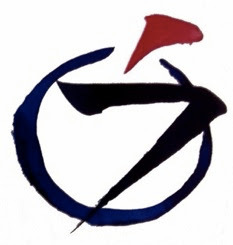 Next up: starting Sat Dec 16, our book will be, Yamada Koun, Zen: The Authentic Gate. Case this week: Blue Cliff Record #68, "Yangshan Asks Sansheng's Name": CLICK HERE. Morning Meditation Retreat: Sat Nov 18, at First Congregational Church, Stamford, CT. Led by Boundless Way Guiding Teaching David Rynick, this retreat, open to people of all experience levels, is a wonderful opportunity. Register here: http://www.fccstamford.org/events/meditation. Rohatsu Sesshin, Thu Dec 7, 20:00, to Sun Dec 10, 13:00. Registration opens on Oct 26.